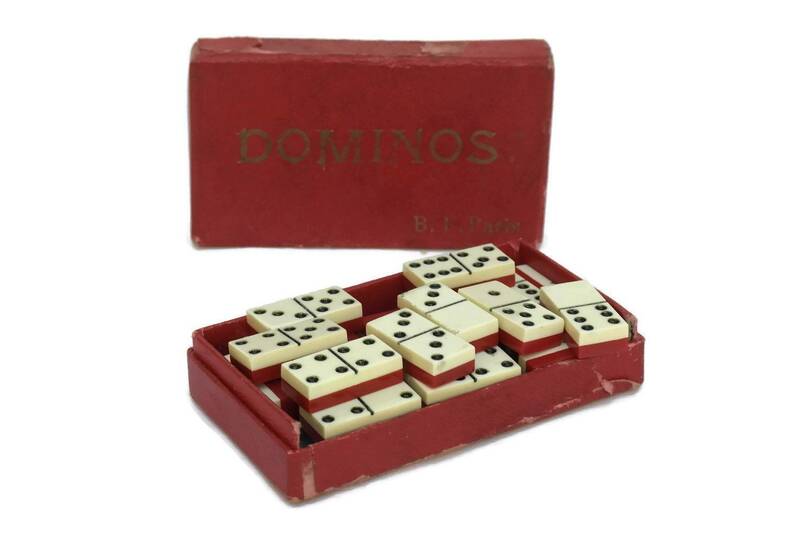 A complete set of vintage miniature dominoes in their original box. 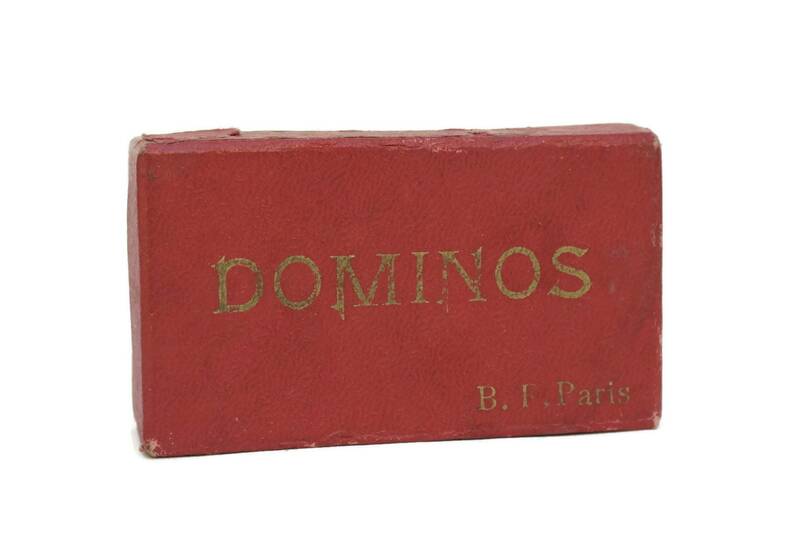 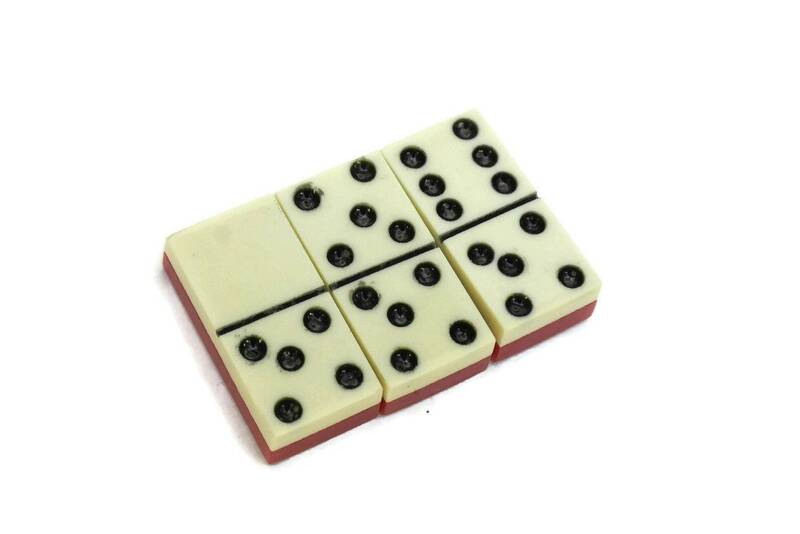 The small domino tiles were used as a travel game and were manufactured by the B F company of Paris. 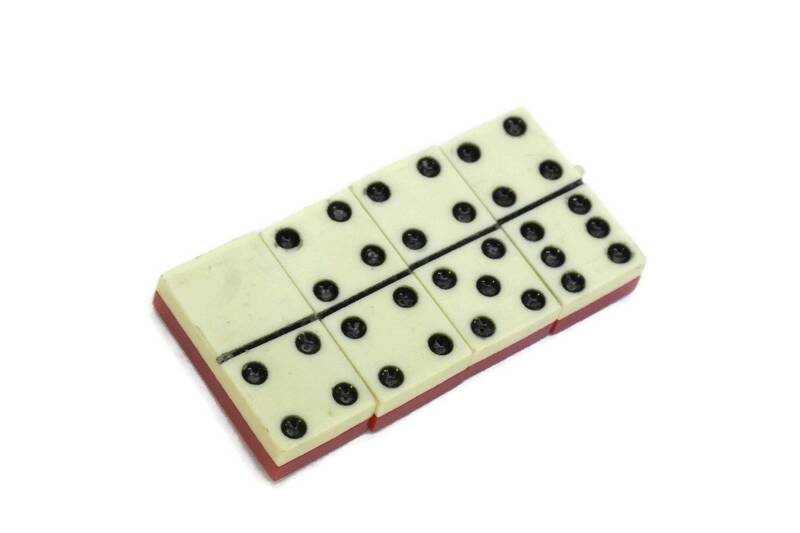 Each tile has been made from plastic with a red and cream layer. 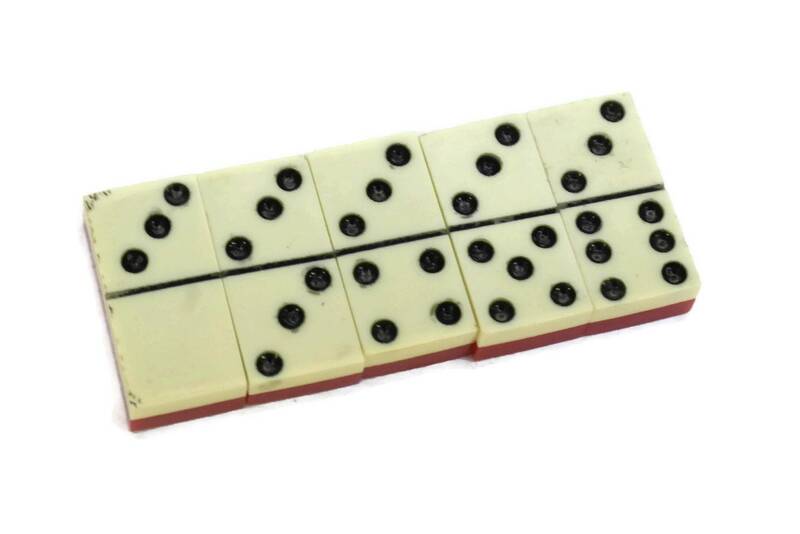 The set includes 28 domino tiles. 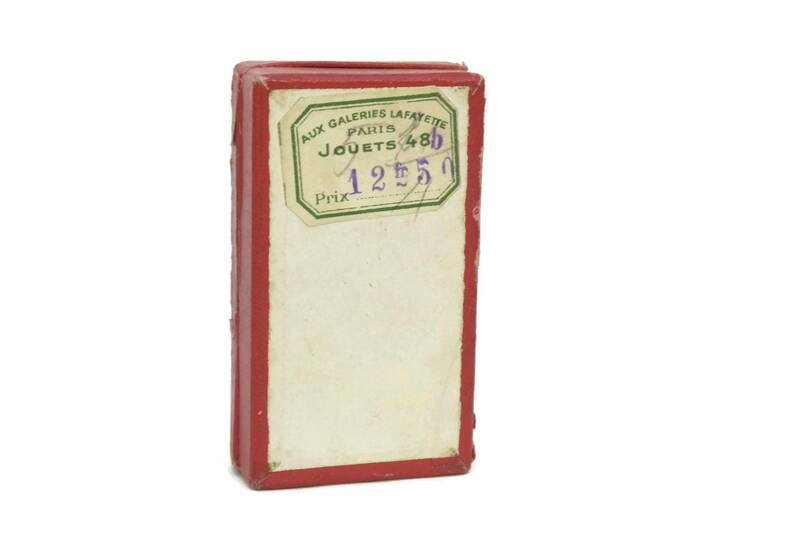 The box measures 3.25" Long x 0.75" Tall x 1.75" Wide (8 cm x 2 cm x 4,5 cm). 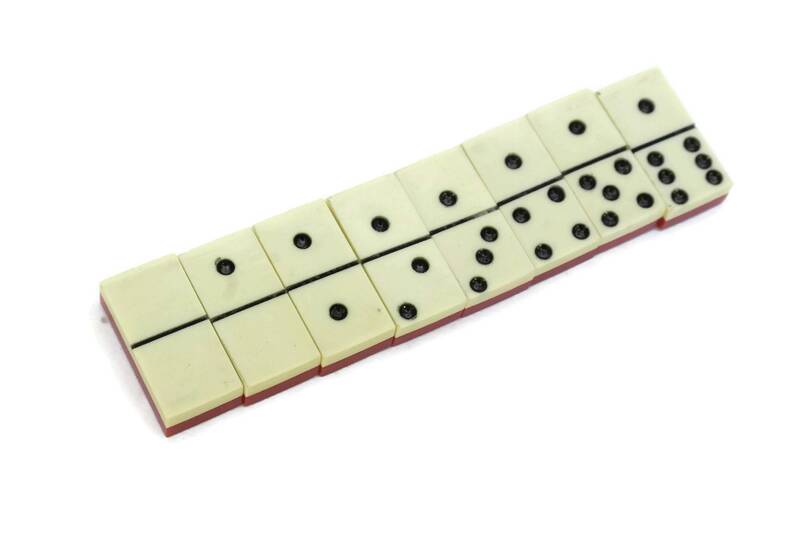 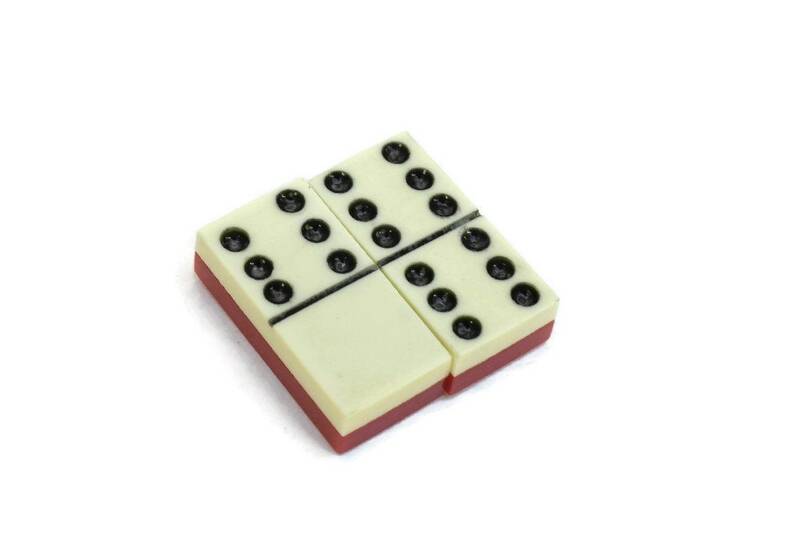 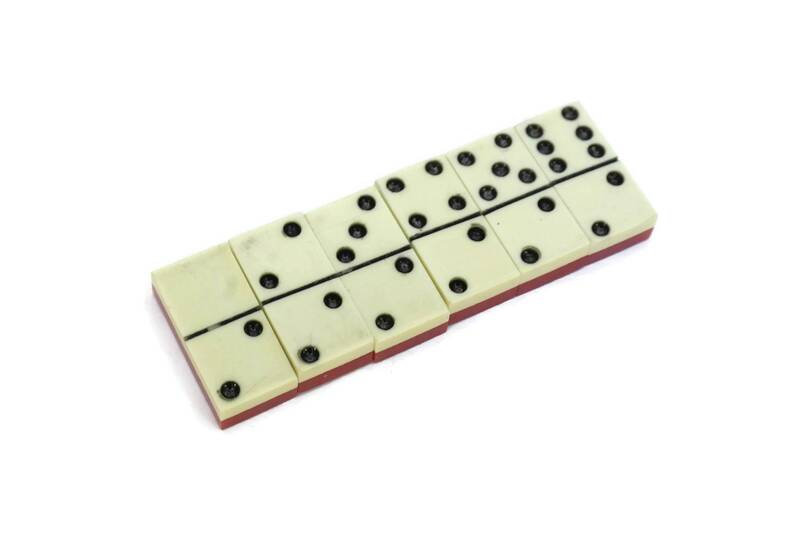 Each domino is 0.75" Long x 033" Wide (2 cm x 1 cm). 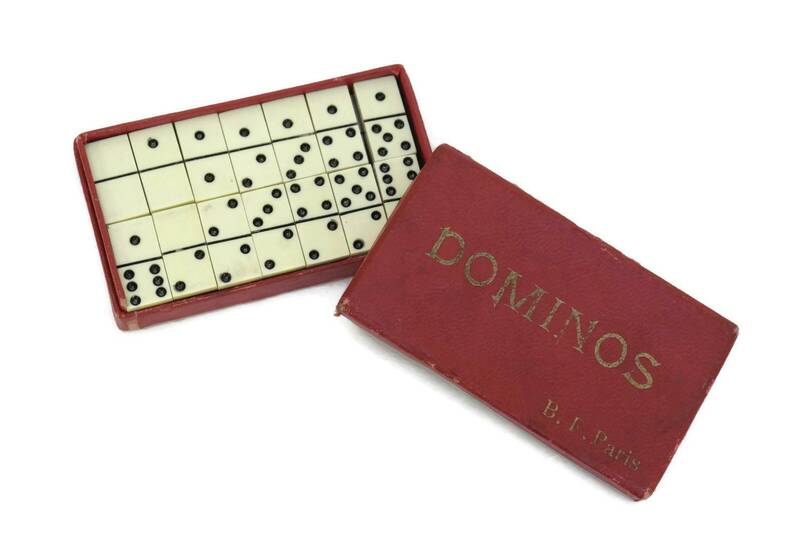 The set of vintage dominoes is in good condition with some signs of age and wear to the card presentation box.